The Pac-10 may have had a down year as a whole last season. Only four teams made the NCAA Tournament, and traditional powers USC and Stanford struggled. But the self-proclaimed 'Conference of Champions' was represented well in the end, with the Oregon State Beavers claiming their first national title and the conference's 25th overall. This year, the Beavers may be down, but the conference is up again and ready to once again stake its claim as one of the best there is. It looks to be an interesting year in the Pac-10, with a number of teams having a chance to do very well. Arizona State is almost the favorite by default, simply because they appear to the best of the bunch. They are undoubtedly a top 10 to 15 club, with an opportunity to rise higher. Barry Bonds' alma mater has a hitter-stacked lineup, from Eric Sogard (.353/9/50) to Ike Davis (.329/9/65, Freshman All-American) to catcher Preston 'Petey' Paramore (318/3/35, Freshman All-American). The Sun Devils' road to the Pac-10 title could be made or broken by a pitching staff that lost a number of contributors, but has the talent to be really good. Junior Josh Satow (4-2, 4.78 ERA) and sophomore Jeff Urlaub (5-3, 4.82) look like two certainties in the rotation, and JC transfer Brian Flores looks set to be the Friday starter. LSU transfer Derik Olvey is at his third stop in three years (Notre Dame, then LSU) and gives Pat Murphy's club four possible solid starters. The only real weakness is the bullpen. The Sun Devils, however, should be able to hit well enough to overcome a few bad nights on the mound, and in the end, could shape up to be a legitimate national title contender. You can't forget about the team with the 'defending national champions' tag, though. Oregon State could be the forgotten man, with the losses of Dallas Buck, Jonah Nickerson, Kevin Gunderson, and Cole Gillespie, among others, but the Beavers are heavily in the mix for a third straight Pac-10 title. Four position starters return, including catcher Mitch Canham (.299/7/54) and shortstop Darwin Barney (.330/36 RBI), and there's a solid nucleus in place on the mound, with returning starters Mike Stutes (8-2, 3.10) and Anton Maxwell (3-3, 5.50 in '06, 11-1 in '05), and relievers Eddie Kunz (5-1, 3.61), Daniel Turpin (3-0, 2.90), and Joe Petersen. Maxwell was excellent in '05 but fell off in '06, so he'll need to rebound this year to fill in for one of his departed 'mates. Pat Casey also brought in an excellent recruiting class, which includes LSU transfer Jason Ogata, who should slot in as a starting infielder. The good teams reload, not rebuild, and good coaches know how to bring the best out of their guys, and that's what we can expect from Pat Casey and the Beavers. After the top two, there are several others with 'potential' to make a run in the conference. USC has some questions at the plate, but their established rotation could give them a boost, along with arguably the best recruiting class in the country. Former Trojan catcher Chad Kreuter will be looking to lead his alma mater back to the postseason in his first season as coach, with Mike Gillespie now retired. USC finished 25-33 last season and 11-13 in the Pac-10, but standards are much higher than that for Troy's diamond men. Four main position starters return, led by Matt Cusick, who hit .369 last season. That does leave a fair amount of holes to fill, but Kreuter may have another future MLB catcher in his ranks, with hotshot 17-year old freshman Robert Stock. Grant Green, another stud freshman, could start at short. Ace Ian Kennedy is gone, but considering his inconsistencies, that's not as earth-shattering as it could be. Three other starters who started at least 11 games return, but they'll need to step up to offset any offensive issues. Freshman Brad Boxberger could challenge for a spot in the rotation as well, and Stock will see some time on the mound as well, with a fastball that has been clocked at 95. It might be a reach for the Trojans to win the conference title this year, but Kreuter's Krew should at least return to the postseason. Crosstown rival UCLA is another team with plenty of talent, plenty of questions, and plenty of potential. After winning only 15 games in 2005 in John Savage's first season, the Bruins went 33-25, finished third in the conference, and went to the Malibu Regional. Sophomore shortstop Brandon Crawford (.318, .949 fielding %) is the team's most recognizable name, and he has several returning starters around him, including three other sophomores in Jermaine Curtis (.336), Cody Decker (five homers in 63 Abs), and Ryan Babineaux. UC-Santa Barbara transfer Alden Carrithers (.342, 60 runs) was one of the Big West's best hitters last year, and will fit right in Savage's lineup. The big questions are on the mound. Tyson Brummett (6-7, 4.52) is the lone returning mound starter for UCLA, and he will be counted on to step up big time. Standout freshmen Charles Brewer and Gavin Brooks will see a lot of innings. The Bruins are a popular pick to challenge for the national title next year, and I agree with that opinion. How far they go this year will go depend on if their pitching staff can get it done. Stanford is yet another team that falls into that mold. The Cardinal 'underachieved' by their standards last year, and were wildly inconsistent. They snuck into the regionals with a good finish, and turned it on there, sweeping through the Austin Regional before falling to eventual national champ Oregon State. The big bat of Chris Minaker is gone, but outfielder Michael Tyalor (.325/5/39) is a preseason All-American, and Ryan Seawell and Randy Molina both hit over.300. 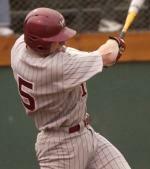 Third baseman Adam Sorgi (.322/5/41 in '05) returns after missing all of last season, and sophomore Grant Escue was one of the Cardinal's best hitters during the late season run. Nolan Gallagher is the team's only established returning starter, but Jeremy Bleich, who was a reliever most of his freshmen year before starting towards the end of the season, has the arm to excel in a starting role. Stanford has a solid bullpen, led by sophomore Austin Yount (4-0, 2.84). Mark Marquess and the Cardinal faithful aren't used to too many down years, and even though there are some questions right now, expectations for a high finish, and even a challenge for the Pac-10 title, are more than within reason. Arizona is an interesting team. The Wildcats struggled with inconsistency all of last season on the way to a 27-28 record, but their 12-12 conference record was good for a fourth-place finish. Andy Lopez's club returns most its 2006 lineup, including its top two hitters in Colt Sedbrook (.339) and Bill Rhinehart (.333/6/45). Sedbrook was hit by an NCAA-leading 26 pitches last season, so he'll be on base plenty. Most of the pitching staff returns as well, including three primary starters in Brad Mills (6-5, 4.70), Preston Guilmet (3-7, 4.80), and David Coulon (4-3, 6.83), who all put up solid K/IP numbers. Star closer Mark Melancon is gone, but Daniel Schlereth (son of Mark) is next in line, and had seven saves last year as a freshman. It's foreseeable that the Wildcats could make a run at the top three or even the title, with the core they have back, but inconsistency will not need to crop up again if that is to happen. Washington State is quickly and quietly on the rise, and this could be a big year for them. Coach Don Marbut has engineered two winning seasons in a row since his arrival in Pullman, and that trend will continue this year, possibly culminating in a regional berth. The Cougars may have the conference's best player in RF/SP Jared Prince (.401/9/58, 6-2/4.53 in 12 starts), but they also look solid at most position, with guys like second baseman Travis Coulter (.345/2/27) and first baseman Jim Murphy (.333/8/46). Prince and senior Wayne Daman, Jr. (6-4, 4.50) form a solid 1-2 punch in the rotation, and five other significant contributors return to a staff that needs to see improvement if the Cougars are to have a chance to make noise. If they can, the Cougars could be on their way to being the next Oregon State. Scheduling Texas isn't a bad idea to bolster at-large possibilities, and so is not losing to teams like Utah Valley State, Hawaii-Hilo, and Chicago State, like they did last year. The only two teams that really appear to be out of the mix are Washington and California. The loss of Golden Spikes winner Tim Lincecum leaves a big hole, as his 12 wins and 199 strikeouts accounted for a good third of the Huskies' totals in that department, and so do the losses of Zach Clem and Matt Lane (32 homers combined). The Huskies still do have a fearsome lineup, with Matt Hague (.381/6/45), Curt Rindal (.350/10/48), and Matt Stevens (.239/17/48), but the fall-off in quality pitching will hurt the Huskies. Cal finished last in the league last season, and it looks like that will be the case again this year. Star pitcher Brandon Morrow is gone, and so are their best hitters. But sophomore Tyson Ross (6-4, 3.19, 85 Ks/84 IP) should pick up where Morrow left off, and Josh Satin will look to build off of his solid performance in the Cape Cod League. Cal State-Fullerton transfer David Cooper had a 5-for-5 performance in the CWS against Clemson, and will provide immediate punch to a depleted lineup. Still, it looks like a long year for David Esquer's squad. In the end, the league really looks to be up for grabs. Arizona State and Oregon State look good at 1-2, but there are four other teams right there behind them that could take the title in the end, and as I said, watch out for the Cougars. The conference is insanely deep this season, and could get up to seven teams in the postseason, with five at the minimum.